The two best skippers and the two best dinghy crews for Tufts competed at the 43rd Annual Harry Anderson Trophy hosted by Yale this past weekend. They finished 15th out of 18 teams in their season opener. The Jumbos boast a completely new lineup after graduating their A teams from last year, with juniors Scott Barbano and John Rolander at the helm for the A Division and B Division, respectively. Atwood and junior Natalie Danziger also competed at the Harry Anderson Trophy this past weekend. Tufts competed in 15 races across the two divisions, with the A team finishing 10th in their division and the B team finishing 15th in their division. The A team recorded a second-place finish in the 13th race en route to compiling a score of 150, while the B team won the fourth race en route to their 181 score. The scores combined for a total of 331 for 15th place — just two points behind University of South Florida, who finished with 329. With the Jumbos split up at eight regattas this past weekend, most of the first-year sailors gained some valuable experience that will help develop the strength of the team’s roster as the season progresses. Ken Legler, the head coach of the sailing team, also places emphasis on the importance of weekend competitions for the team’s growth. He sends weekend in review emails on Sunday nights, which recap the high and low points of the week before addressing the aspects that the team needs to work on for the coming week of practice. Tufts was also seventh out of 15 at Maine Maritime Academy’s Penobscot Bay Open on Saturday and Sunday. The A team consisted of senior skipper Casey Gowrie and junior crew Caroline Ambros, while the B team consisted of junior skipper Alex Tong and sophomore Lara Dienemann. Additionally, this past weekend saw the Jumbos fleet team — comprised of three sailors that focus primarily on big boats — qualify for the New England Fleet Championships in three weeks. According to Atwood, many of the first-years have already begun showing their potential in the first regattas. “I think a prominent freshman to watch is Cam Holley; he had a very strong showing this weekend at his event,” Atwood said. 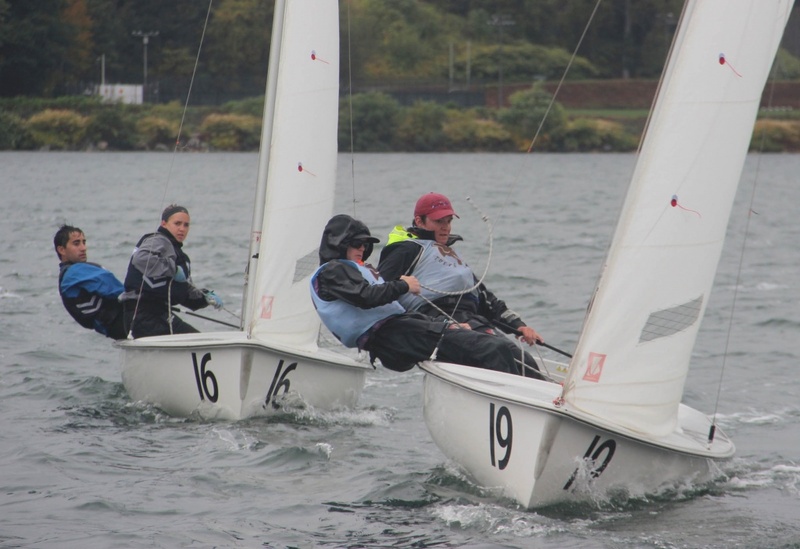 First-years Holley and Ian Morgan were on the A boat that won at Roger Williams this past weekend, while classmate Jack Bitney and sophomore Emily Shaley-Roberts were on the B boat. The A boat finished in first place with 45 points, just two points ahead of Johnson and Wales University’s A boat. Tufts ended the regatta in second place overall, losing by a narrow margin of one point to host Roger Williams University.